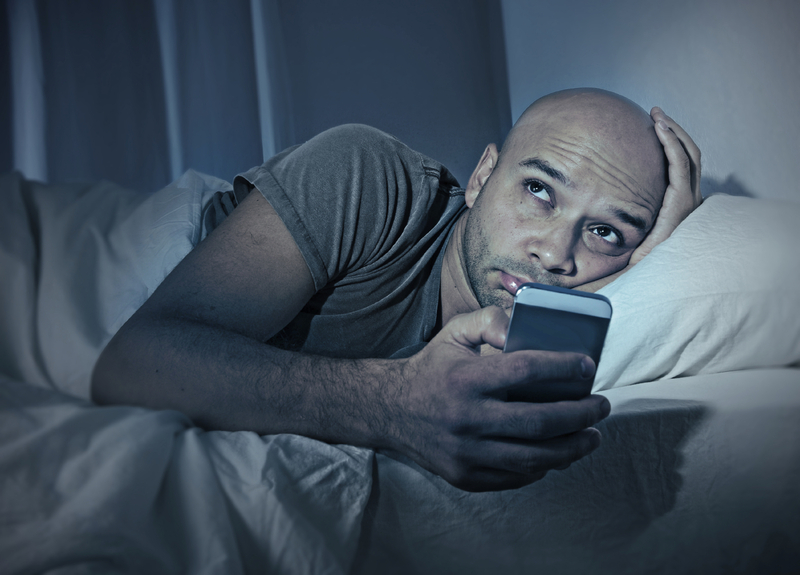 LONDON -- Warning: Looking at your smartphone while lying in bed at night could wreak havoc on your vision. Two women went temporarily blind from constantly checking their phones in the dark, say doctors who are now alerting others to the unusual phenomenon. The solution: Make sure to use both eyes when looking at your smartphone screen in the dark. In Thursday's New England Journal of Medicine, doctors detailed the cases of the two women, ages 22 and 40, who experienced "transient smartphone blindness" for months. The women complained of recurring episodes of temporary vision loss for up to 15 minutes. They were subjected to variety of medical exams, MRI scans and heart tests. Yet doctors couldn't find anything wrong with them to explain the problem. But minutes after walking into an eye specialist's office, the mystery was solved. "I simply asked them, 'What exactly were you doing when this happened?'" recalled Dr. Gordon Plant of Moorfield's Eye Hospital in London. He explained that both women typically looked at their smartphones with only one eye while resting on their side in bed in the dark - their other eye was covered by the pillow. "So you have one eye adapted to the light because it's looking at the phone and the other eye is adapted to the dark," he said. When they put their phone down, they couldn't see with the phone eye. That's because "it's taking many minutes to catch up to the other eye that's adapted to the dark," Plant said. He said the temporary blindness was ultimately harmless, and easily avoidable, if people stuck to looking at their smartphones with both eyes. One of the women was relieved the short-term blindness didn't signal a more serious problem like an imminent stroke. He said the second woman was more skeptical and kept a rigorous monthslong diary tracking her fleeting vision loss before she finally believed him. But she couldn't stop checking her phone for messages from bed, he said. Dr. Rahul Khurana, a spokesman for the American Academy of Ophthalmology, called it a fascinating hypothesis but said two cases weren't enough to prove that one-eyed smartphone use in the dark caused the problem. He also doubted whether many smartphone users would experience the phenomenon. Khurana, who acknowledged that he's an avid cellphone user, said that he and his wife tried to recreate the scenario on a recent evening, but had difficulty checking their phones with only one eye. "It was very odd," he said.